A sneak peek of Shirley Goodhew’s Deep Waters exhibition, on show at the Bas from Saturday 23 March until Sunday 14 April. Photo: ESC. Eurobodalla artist Shirley Goodhew is the next to adorn the walls of the new Basil Sellers Exhibition Centre in Moruya, and the first local to fill the space with her spark. Deep Waters, an eclectic and contemporary exhibition, spans more than 20 years’ of work and opens at the Bas tomorrow night (March 22). Eurobodalla Shire Council’s Creative Arts Coordinator Indi Carmichael believes Goodhew’s practice is strongly influenced by her personal connection with nature. “We’re excited to have Goodhew as the first local artist to kick off a jam-packed program of exhibitions at the Bas over the next 12 months,” Ms Carmichael says. 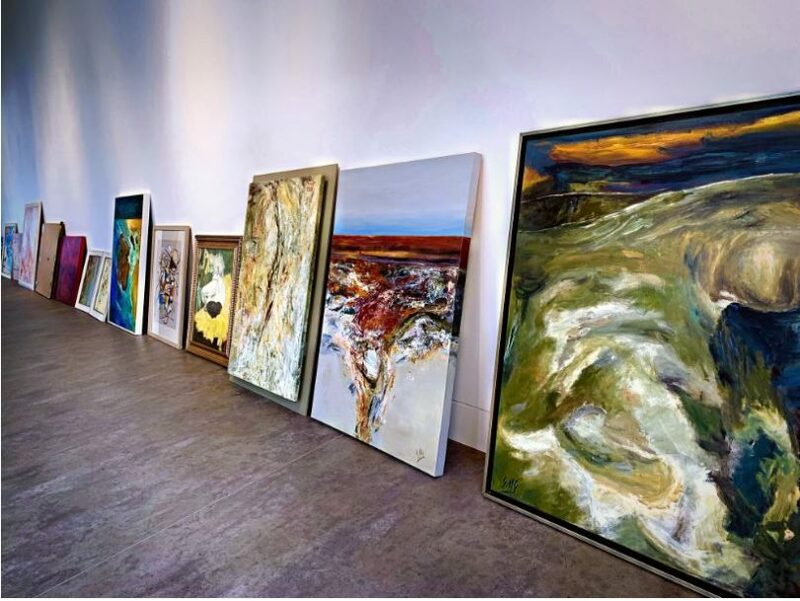 The exhibition opening is tomorrow night (Friday, March 22) from 6 to 8 pm, and continues Tuesdays to Sundays, 10 am to 4 pm, until Sunday, April 14 at the Basil Sellers Exhibition Centre, at the corner of Campbell and Vulcan Streets, Moruya. Goodhew will also be at the Bas for a one-day residency on Saturday, April 13. “Visitors can observe Goodhew as she makes and creates within the art gallery, surrounded by her beautiful work,” Ms Carmichael says.